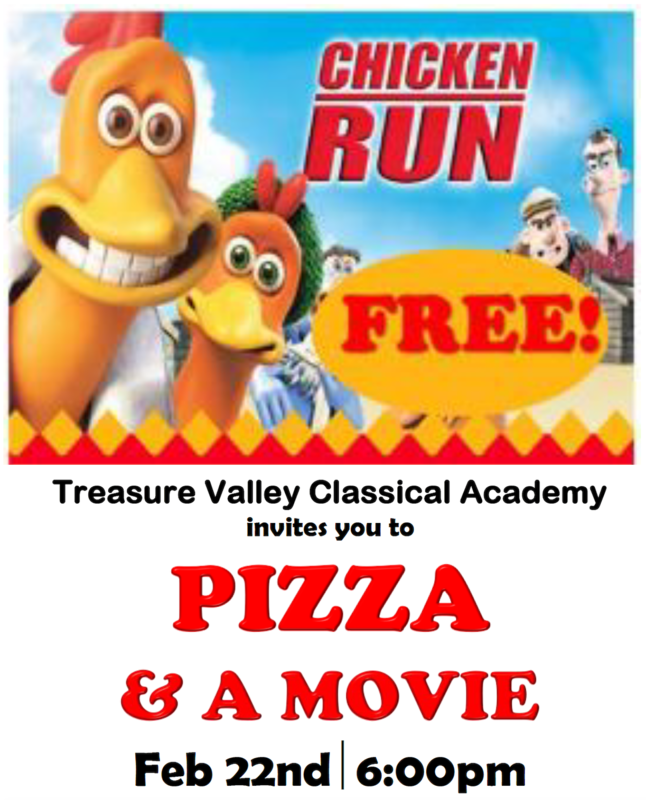 Treasure Valley Classical Academy invites you to a Pizza & Movie Night at the Payette Public Library. We will be showing the feature film “Chicken Run” and pizza will be provided by Idaho Pizza Company. This event is free and open to all who are interested.